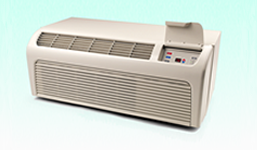 Higher efficiency, more power, low noise, and updated appearance. What's not to like. Now built at Appliance Park in Louisville, KY.
Legacy replacement PTACs for many brands like Singer, Remington, McQuay, Islandaire, Retroaire, and many others. 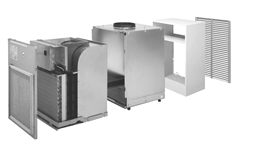 We handle parts for the full line of McQuay equipment, including rooftops, chillers, water source heat pumps, PTACs, unit ventilators, etc. Amana Digismart PTAC units and parts for hotels, motels, nursing homes, and other commercial applications. Trust us for all of your PTAC units, accessories, and parts. 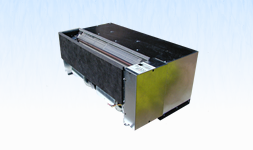 We offer GE and Amana for both new construction and replacement of 42" PTAC units. We offer the GE vertical PTAC for both new construction and replacement applications. 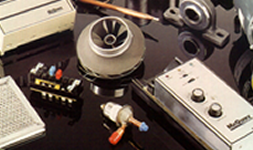 We carry parts for all of our PTAC lines, as well as the entire Daikin/McQuay parts offering.